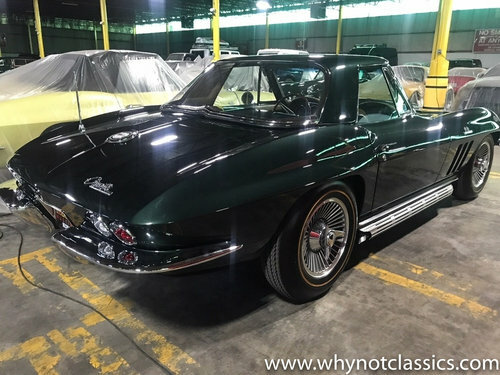 Why Not Classic is proud to present this Investment Grade 1965 Corvette StingRay 396/425 (big block) - numbers matching and documented. 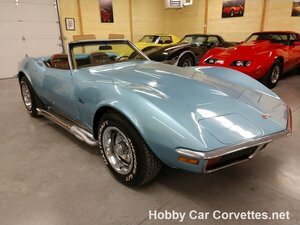 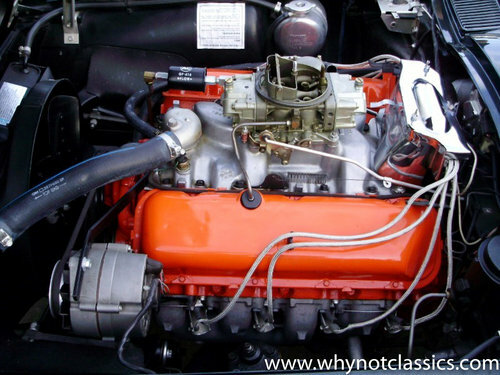 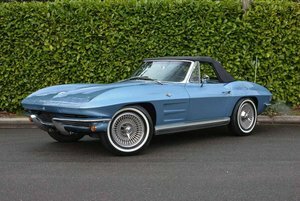 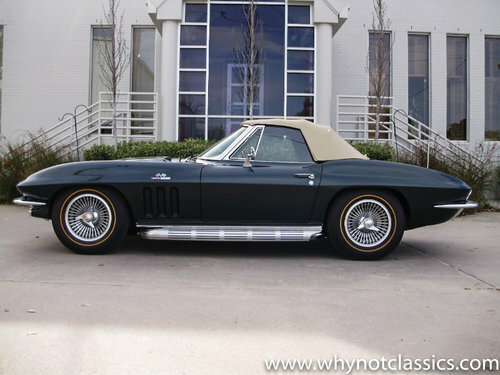 This is a very meticulous restored and a rare BIG BLOCK Corvette when you factor in that only 2,157 convertibles with a 396 V8 where build in 1965. 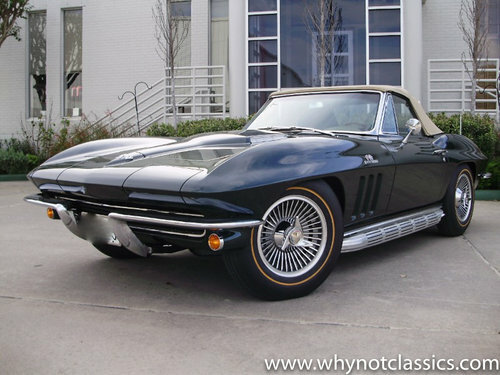 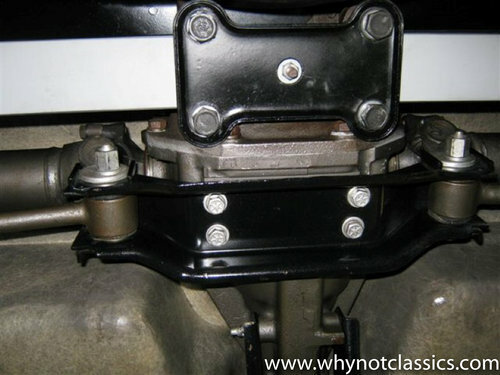 It comes with soft top and also matching hard top, original Knock Off Cast Aluminum Rims with Firestone Goldline Tires. 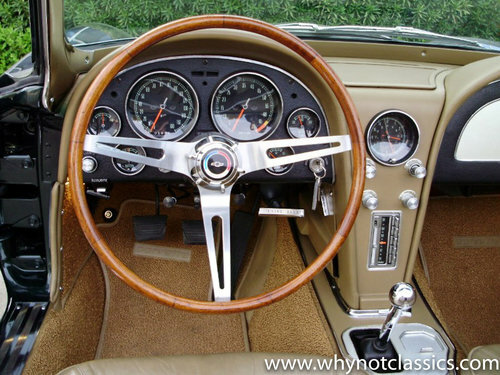 The car is finished in Glen Green with a Saddle Leather Interior ( as per data plate ). 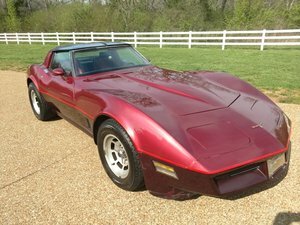 There is much that can be written about this Corvette, however, the photos and the level of equipment speaks clearly about the investment grade level of this car.